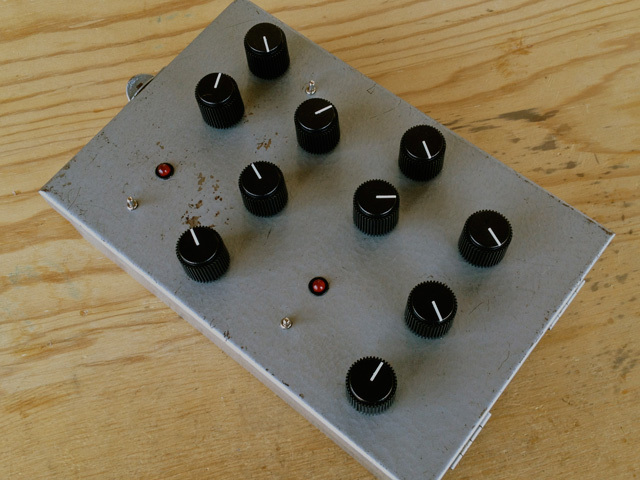 This is a Minimal Drone and Auto-Step Synthesizer brought together in one case. 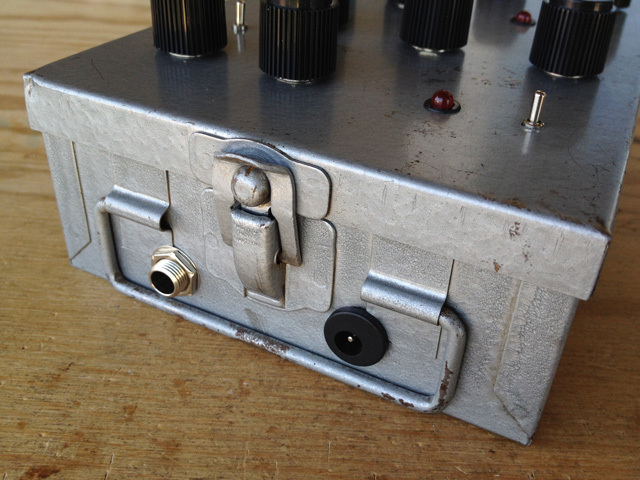 Housed in a very rugged and well used slide case, this synthesizer is capable of extremely dense sounds. 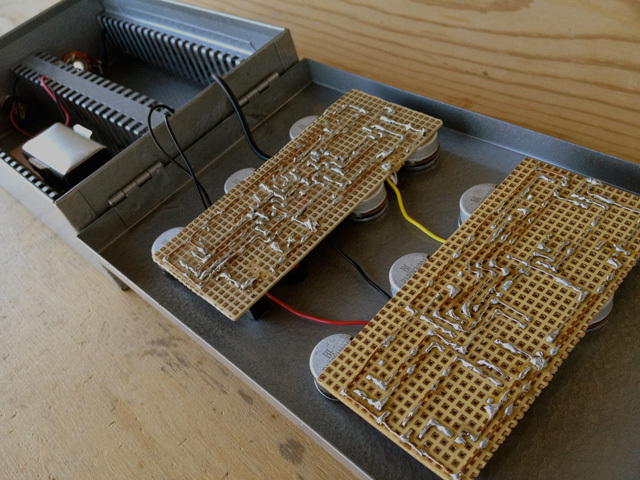 The controls can be broken down into two sections, the drone and the auto-step synthesizer. Each section has it’s own filter, volume control, and on/off toggle to blend the sounds. There is really nice cross-talk, especially in the way the auto-step will warp the drone section. Above, the drone section consists of two oscillators that modulate each other while a third selectable LFO adds more interesting rhythmic sounds. This creates a nice thick bed. Below, the auto-step section is based on a stepped-tone generator but with a sweeping LFO, giving it an almost automated looping effect. This is controlled with speed, frequency, and pulse length. 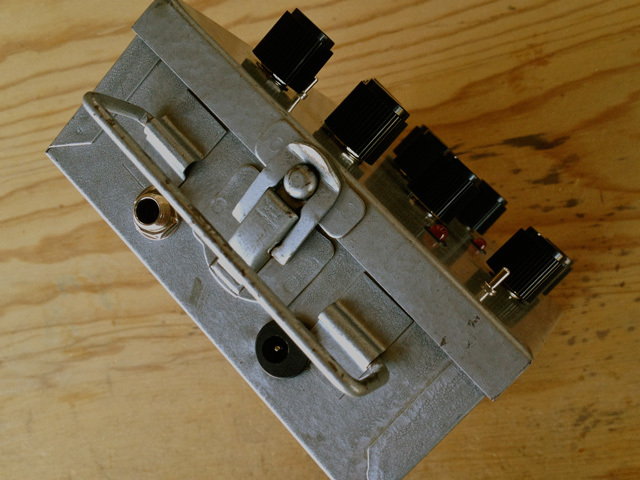 1/4″ audio output jack and powered by a 9volt battery or any 9volt center-negative DC adapter.